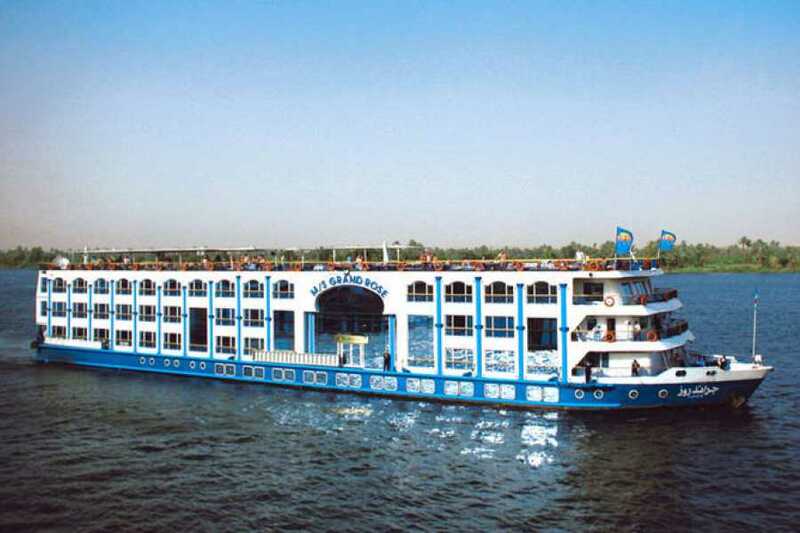 Sail on the River Nile and visit the ancient sites of the Nile Valley on a 4-day river cruise from Aswan to Luxor. This great-value cruise includes guided visits to the main sights, including Aswan’s High Dam and Philae Temple; atmospheric Kom Ombo and Edfu; and the tombs and temples of Luxor’s West and East Banks. Learn about the age-old treasures from an Egyptologist guide, and enjoy three nights’ full-board cruise boat accommodation, plus airport and hotel pickups and drop-offs at the start and end of your experience. Around 1pm you'll embark for the cruise to Kom Ombo, enjoying a delicious lunch and afternoon tea on board. At Kom Ombo, visit the unique double temple dedicated to the falcon god Horus and crocodile god Sobek, before embarking for Edfu. Along the way you'll enjoy dinner on board, followed by dancing. After breakfast the next day, explore the Temple of Horus in Edfu, one of Egypt's best-preserved shrines that was completed during the reign of the legendary Cleopatra. Enjoy lunch on board, and soak up the Nile landscapes as you cruise to Luxor, where you can enjoy afternoon tea, another wonderful dinner on board and a galabeya (kaftan) party, where you dress in traditional Egyptian gowns. Enjoy breakfast on board before exploring some of the most iconic sights in UNESCO-listed ancient Luxor. You'll start on the West Bank, visiting the Valley of the Kings, the Temple of Hatshepsut, and the Colossi of Memnon, return to the boat for lunch, then have the afternoon at your leisure. Choose between exploring Luxor's East Bank, perhaps shopping for souvenirs at the bustling markets, and relaxing on board with afternoon tea. Enjoy dinner on board.